Other Information Our Part No's / OE PART NUMBER VAP2890RCK-A. Kit embrague ISUZU TROOPER 2.5, Año: 2002 Código interno: 168197. Si no encuentra la versión que necesita nos esforzaremos en conseguirla. Nós podemos verificar isso. Wir können es überprüfen. Isuzu Trooper UBS73 3.0TD 1998-2004. ISUZU TROOPER UBS25 3.2P 1992-1998 260MM. ISUZU TROOPER UBS25 3.2P 1992-1998 260MM. 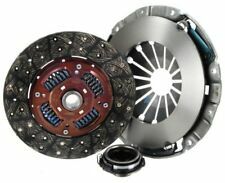 3PCS CLUTCH KIT (1992-1998) 260MM DISC. NOTE : Picture is for illustrative purposes only. KVA : 12204 EXEDY. FITS: ISUZU D-MAX/RODEO PICKUP 01/2002-07/2012. -TFS86 2.5TD 08/2006-07/2012. WILL FIT THE FOLLOWING. TFS86 2.5TD 08/2006-07/2012. KVA : 12204 EXEDY. FITS: ISUZU D-MAX/RODEO PICKUP 01/2002-07/2012. WILL FIT THE FOLLOWING. TFS77 3.0TD 07/2003-08/2006. KVA : 12204 EXEDY. FITS: ISUZU D-MAX/RODEO PICKUP 01/2002-07/2012. WILL FIT THE FOLLOWING. Engine Code - 4JX1. For Isuzu Trooper 3.0DTi / 3.0TD Year (1998-2004). 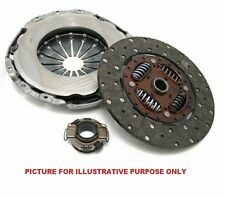 1 x Clutch Kit (Clutch Cover Clutch Disc Release Bearing). FITS: ISUZU IMPORT PICKUP TFS69 3.1TD 01/2002>ON. KVA : 12204 EXEDY. OE Quality drivetec 3 piezas Kit de embrague Vauxhall Monterey Isuzu Trooper LIBRE P&P! MAKE / MODEL : DRIVETEC. VAUXHALL R1020090. VAUXHALL R1020074 Direct Cross Interchange 3. ISUZU TROOPER. By pressing (. VALEO 801928 Direct Cross Interchange 4. 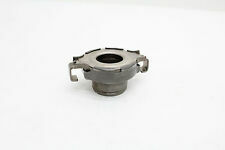 SACHS 3000737001 Direct Cross Interchange 4. ). Make Modle Engine CC KW cylinder Type Year ISUZU D-MAX 2.5 D 4x4 2499 74 4 Pickup 2002-2014. ISUZU D-MAX 3.0 DiTD 4x4 2999 96 4 Pickup 2002-2014. ISUZU D-MAX 2.5 D 2499 74 4 Pickup 2002-2014. It all depends on the stress it has seen. Codice SIVAR. NUOVO Kit Frizione Isuzu D-MAX 25 TD. THIS IS 215MM PLATE DIA NOT 225MM. BEDFORD MIDI FURGONATO 2.0 4WD. BEDFORD MIDI FURGONATO 2.0 D 4WD. BEDFORD MIDI FURGONATO 2.0 TD 4WD. ISUZU MIDI AUTOBUS (94000, 98000) 2.0 4WD (94000). ISUZU MIDI AUTOBUS (94000, 98000) 2.0 TD (98000). Model TROOPER (UBS). Make ISUZU. 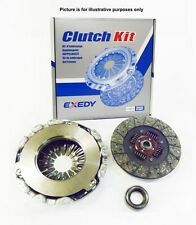 See more products from National Clutch Kits. CSC Kits (Clutch Kit including Concentric Slave Cylinder). Clutch Kits. Engine 2.8. Fuel Type Diesel. Codice SIVAR. NUOVO Kit Frizione Isuzu Trooper 2.2TD 1984->, Midi 2.0D 2.2D 1988->, Campo 2.2D 2.5D 1988->, Bedford Midi 1.8D 2.2D, Mitsubishi L200 1.6 1980->. (NOTE : FOR DUAL MASS FLYWHEEL VEHICLES ONLY. 1) CLUTCH PRESSURE PLATE. 2) CLUTCH PLATE. 3) CLUTCH BEARING. KIT CONTAINS . Código de SIVAR. MPN Z93005. Nuevo embrague Kit Isuzu Trooper < abarcan clase = notranslate ' > 2.8 TD. Codice SIVAR. NUOVO Kit Frizione Isuzu Trooper 2.8 TD. Splines / Teeth: 24. Other Information. Isuzu Piazza JR_ Coupe 2.0 Turbo 85-90. Our clutch kit gives you the best possible clamping forces available in this class. 3 Piece Clutch Kit. About the Clutch Kit. Clutch Pressure Plate. Clutch Friction Drive Plate. 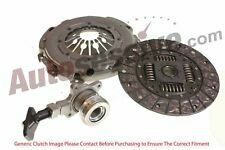 HK8526 CLUTCH KIT 3-IN-1 Isuzu Bighorn,Trooper Vauxhall. Manufacturer Part Number: HK8526. Borg & Beck automotive components are manufactured to the highest of standards. Application: Isuzu Bighorn,Trooper Vauxhall. 3 piezas de embrague KIT FOR A ISUZU TROOPER 2.3. FOR ISUZU TROOPER. Number Of Teeth:24. Vehicle compatibility. They are suitable for cars with up to 25% greater horsepower & torque than the standard production model. They give a 25 - 30% increase in torque capacity & clamp load, whilst still retaining the pedal feel of a standard clutch. Car Parts - QH. Shake & Shine. Exterior Cleaning. Wash Cloths & Accessories. Exterior Accessories. Interior Cleaning. Interior Accessories. Motorcycle Accessories. A continuación, va a funcionar el accesorio para usted y responder en cuestión de minutos. Todos los artículos vienen con la garantía del fabricante, y se darán a conocer bajo pedido. Vamos a trabajar para resolver cualquier duda y ayudar de cualquier manera que podamos. The above is a 3 Pc Clutch Kit with Pull Type Bearing. Other Information Our Part No's / OE PART NUMBER VAP1135RCK-A. They are suitable for cars with 25% to 40% increased horsepower & torque than the standard production model. This will help us ensure that your new clutch is 100% perfect for your car. This is a 3 Piece Clutch. FITS: ISUZU D-MAX PICKUP TFS86TT 2.5 TWIN TURBO DIESEL 05/2012>ON. -TFS86TT 2.5 TWIN TURBO DIESEL 05/2012>ON. KVA : 702586 EXEDY. Código de SIVAR. MPN Z93009. Codice ricambio originale OE/OEM Z93009. Nuevo embrague Kit Isuzu campo < abarcan clase = notranslate ' > 2,3 D 1988->. Isuzu Trooper UBS SUV (Open) 2.2 D 83-83. Our clutch kit gives you the best possible clamping forces available in this class. 3 Piece Clutch Kit. About the Clutch Kit. Clutch Pressure Plate. Clutch Friction Drive Plate. Other Information Our Part No's / OE PART NUMBER VAP2647HK-A. ISUZU PIAZZA (JR_) 2.0 Turbo 104 06.1985 - 12.1990. ISUZU PIAZZA (JR_) 2.0 Turbo 110 09.1985 - 08.1990. ISUZU TFR/TFS Pick-up (TF_) 2.5 TD Trazione integrale 86 09.1988 - 08.1991. Tutti i prodotti del kit dovranno essere nelle condizioni sopra descritte. Codice SIVAR. NUOVO Kit Frizione Isuzu Campo 2.3 D 1988->. ISUZU RODEO I (TFR, TFS) 3.0 DiTD 4x4 (TFS85_) Pickup Diesel 05/2002 06/2012 AWD 8 131 96. Function Clutch Kit. Cross references. Number of Teeth 24. Model year to: 10/2004. Model year from: 10/1988; Engine Code: 4ZE1. Function Clutch Kit. Number of splines on input shaft 24. Cross references. 1x BLUE PRINT Kupplungsscheibe ADZ93106. 1x BLUE PRINT Kupplungsdruckplatte ADZ93206N. 1x BLUE PRINT Ausrücklager ADZ93301. BLUE PRINT Kupplungssatz. BLUE PRINT. Liqui Moly. Gewicht[kg]: 7,4. Zähnezahl: 24.